Kamila Shamsie with Home Fire. 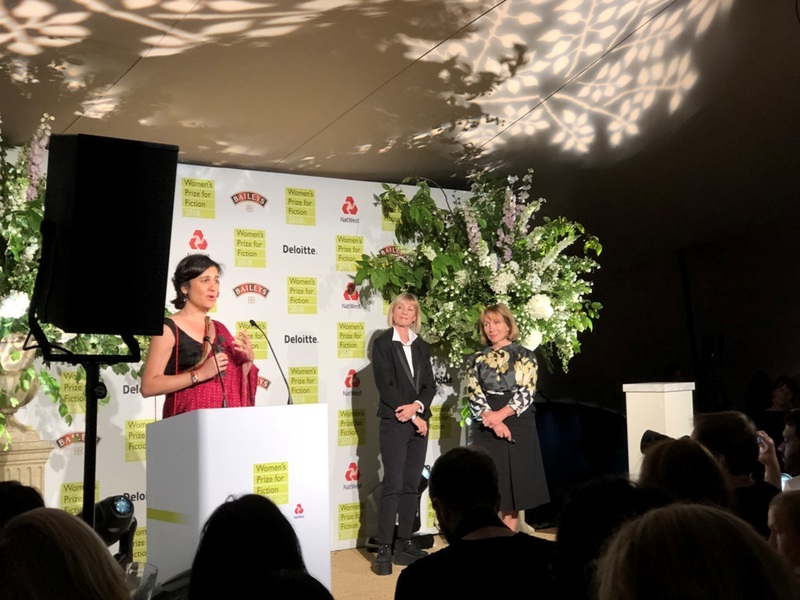 I have to say I have no idea how the judges managed to make a decision with that shortlist, especially between the Shamsie, Kandasamy and Ward which have been some of the best books I have read in quite some time, yet they have and a huge congratulations to Kamila. Here is the moment she picked up the prize at the ceremony which was a wonderful garden party. That is also the only photograph that I took on the evening, I was too busy chatting to lots and lots of lovely people. I mentioned that there were three stupendously good books in the shortlist, I actually read all of the longlist again this year and will be sharing my reviews over the next few weeks if I haven’t reviewed them already on the blog. And, in some exciting news, I can tell you that I will be reading the longlist again next year WITH MY MUM. Yes, we are going to be reading and chatting about the longlist together on my YouTube channel and I may even include some of her thoughts in my reviews as we go here as I will blog as I go next year. Exciting. Anyway, what have you made of the Womens Prize for Fiction this year? What were your favourites on the long and short list? We’ve not chatted about it this year and I would love to know. Back to Kamila and her win, I will have my review of the brilliant Home Fire up on the blog on Friday. This was actually the book that the person who was once named The Non Reader, and has now become The Converted One (thanks to Books Psmith – Brighton Rock in the post) bought me quite a while back. In such an effort to find a book that I liked and didn’t own, The Converted One checked in all my TBR boxes and piles, on my shelves, even asked a few friends and then made sure the reviews in the press and some of my favourite authors quotes we all good before buying.. I have to say The Converted One’s research would have culminated into one of my favourite books of the year… only for the book to then turn up three days later in the post from the people at Bloomsbury! It’s the thought though that counts! Burnt Shadows for me has been a complete and utter joy to read. In fact I could go as far as to say its one of the rare books that you pick up, devour, put down and then get itching to start at again. It’s going to be a hard book to review because there is so much to encompass and so much to praise but I will do my best. The story follows possibly my favourite character of the year so far (and there have been a few contenders) Hiroko Tanaka on August the 9th 1945 in Nagasaki just before they dropped the bomb and ‘the world turns white’. Though Hiroko survives her German lover Konrad is killed. Two years later as India declares its independence she turns up on his half-sisters door step in Delhi with nowhere to stay and becomes attracted to their servant Sajjad and all this is in the first 60 pages. The book then follows Hiroko’s story and the story of people around her (that’s all I am saying trying not to plot spoil) through more pivotal times in history such as the Soviet Invasion of Afghanistan and America post 9/11. Burnt Shadows as you can probably tell is an epic novel. However despite the subject matter, which is dealt with in a thought provoking, shocking, touching and yet tactful the book never feels heavy even though at times it is wrought with emotion. If I had one small complaint it would be that I could have read another 200 pages easily. 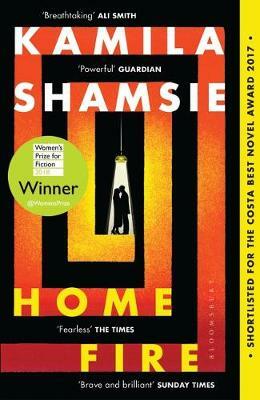 In keeping the book just over 340 pages long Shamsie does hurry slightly towards the quite amazing climax. Hiroko herself is an additional reason that you should read the book. A quirky sparky victim of her times at no one point does she ever complain she just keeps trying and hoping (this isn’t a woe is me tale because Shamsie doesn’t ever let it be) and most importantly observing. Some would say that to cover all the different era’s, cultures, and issues of this time span would be far too ambitious for any writer and yet I thought that Shamsie did this effortlessly, there must have been hours and hours of research that went into this book and without question it has paid off. I can unashamedly say that I think this is one of my favourite books of the year so far no question.